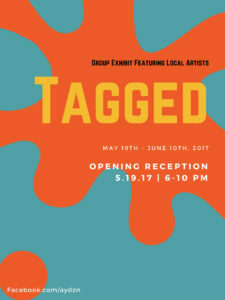 Cincinnati, OH – AYDesign – Art On Vine® and Partners in Art, LLC are pleased to present a group exhibition of new works featuring local artists. 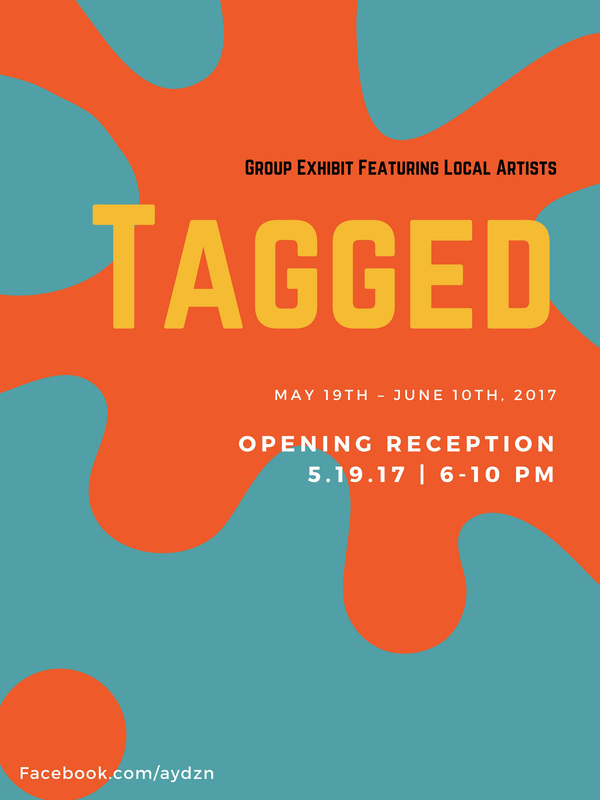 The exhibit “Tagged” will run from: May 19th – June 10th, 2017 with an opening reception on May 19th, 2017 from 6-10 p.m. Dynamic urban art forms of colorful expression cross our paths every day. 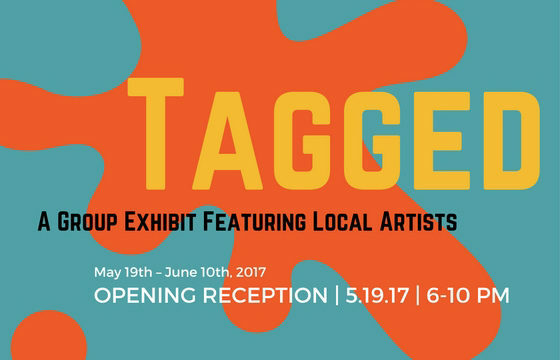 “Tagged” is a group exhibit featuring vibrant works with this unique point of view featuring works by local artists, Michael Colbert, David Flege, Robert Van Praag, Ted Borman, and Christian Dallas. Michael Colbert artwork is a reflection of experiences that have shaped his life – from the moments of triumph to the embarrassments of his failures. Each piece is a testimony of his personal journey and reflects the way he sees the world in which we live. David Flege graduated with a BFA from Columbus College Art and Design. He worked as an illustrator for Gibson greeting cards in the 80’s and has been painting since kindergarten. Robert Van Praag is a film and video cinematographer documenting real life events, lighting and recording dramatic presentations, commercials, corporate videos and television production in this country and abroad. Using his own personally created software as well as several commercial software programs, he adjusts and revises his photographs in search of hidden fantasy and aim to deliver something similar to an oil or watercolor painting. Ted Borman I likens his approach to musical composition, in which even disjointed elements are balanced and rejoined. He has had solo shows at the Miller Gallery (Cincinnati, OH) and Studio Gallery E (Palm Beach, FL). Christian Dallas Christian Dallas is a Cincinnati based painter. Christian graduated from Northern Kentucky University in 2011, with a BFA in painting. For the last 5 years, Christian has been employed by Artworks of Cincinnati, painting more than 30 murals in the Cincinnati area. Christians work is very inspired by both classic fine art themes, as well as a modern pop/illustrative twist.